This safari takes you through the best of Northern Tanzania National Parks and completes the safari in Amboseli National Park in Kenya. In Tanzania, we visit bird rich-game rich shallow alkaline Lake Manyara, is a scenic gem, with a setting extolled by Ernest Hemingway as “the loveliest I had seen in Africa”. 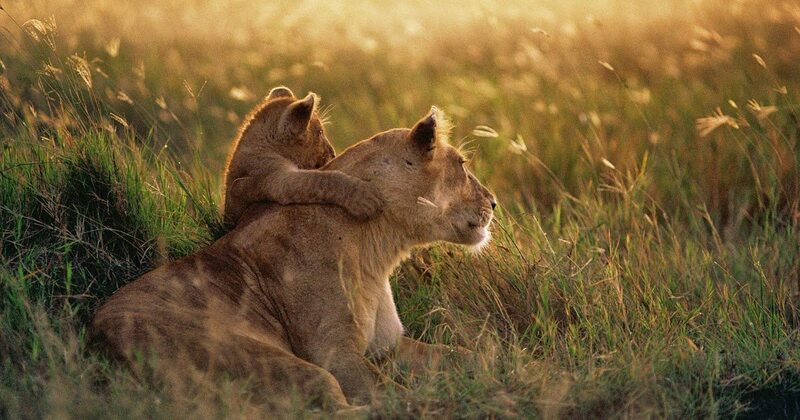 Ngorongoro Conservation Area boasts a blend of landscapes, wildlife, people and archaeology that is unsurpassed in Africa. Amboseli, has large concentrations of wildlife in the dry season, making it a popular tourist destination. This safari takes you through the best of Northern Tanzania National Parks and completes the safari in Amboseli National Park in Kenya. In Tanzania, we visit bird rich-game rich shallow alkaline Lake Manyara, is a scenic gem, with a setting extolled by Ernest Hemingway as “the loveliest I had seen in Africa”. Ngorongoro Conservation Area boasts a blend of landscapes, wildlife, people and archaeology that is unsurpassed in Africa. 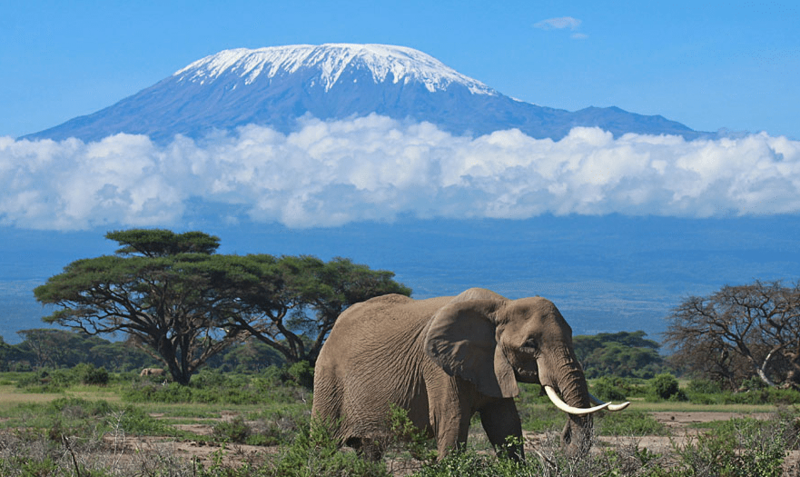 Amboseli, located north-west of Mount Kilimanjaro has large concentrations of wildlife in the dry season, making it a popular tourist destination. 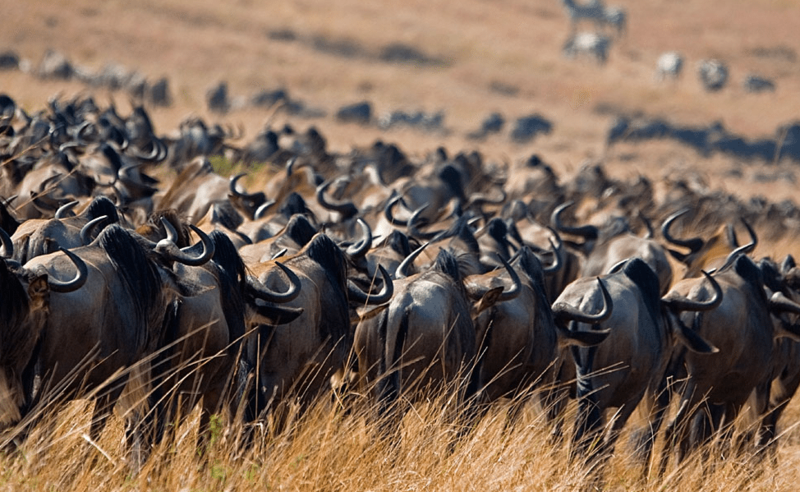 Every year book your front seat between July to October when over 1.5 million wildebeests, gazelles and zebra converge at the border of Serengeti and Masai Mara. 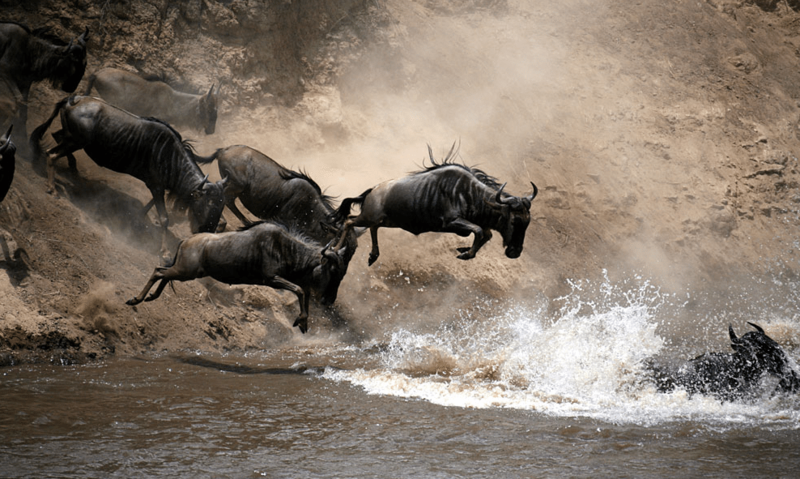 The animals make a spectacular entrance in a surging column of life that stretches from horizon to horizon, before finally plunging wildly into the raging waters of the Mara River, creating a frenzy. Inside the river, the wildebeest fight against swift currents and hungry crocodiles. Those that survive crocodiles and raging waters cross over to the patiently waiting predators for another survival battle. 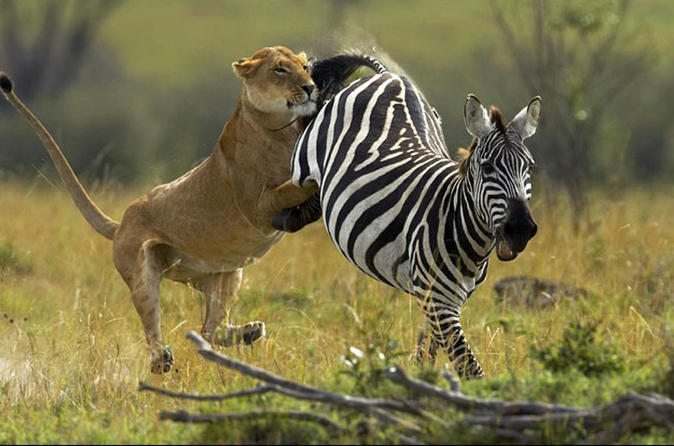 This safari takes you through the best of East Africa Big Game destinations. We kick off in Nairobi through Nakuru Masai Mara and enter tanzania in Serengeti before heading to Ngorongoro and finally completing the Tour in Lake Manyara. Game viewing is never dull in these parks and patience is often rewarded with unique sightings: a pride of lion stalking their prey; a solitary leopard retrieving its kill from the high branches of an acacia tree; a male wildebeest sparring to attract females into their harem; a herd of elephant protecting their young from opportunistic predators.